Heavens to Betsey check out this darling for a cover reveal! Mercedes M. Yardley's very first novella, most spectacularly titled "Apocalyptic Montessa and Nuclear Lulu", is due to be released by Ragnarok Publications. "Her mama always said she was special. Montessa Tovar is walking home alone when she is abducted by Lu, a serial killer with unusual talents and a grudge against the world. 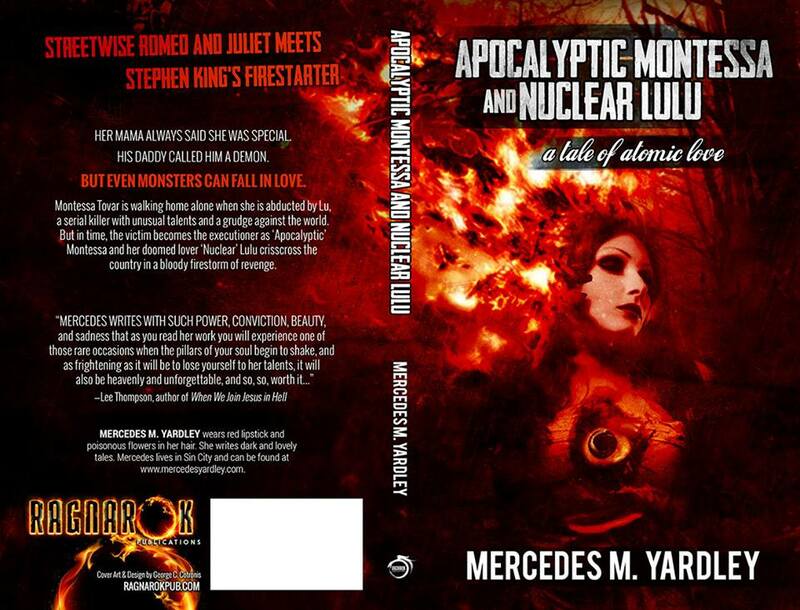 But in time, the victim becomes the executioner as Apocalyptic Montessa and her doomed lover Nuclear Lulu crisscross the country in a bloody firestorm of revenge."